Osaka Custom Style: Finally, a TW200 is mine! 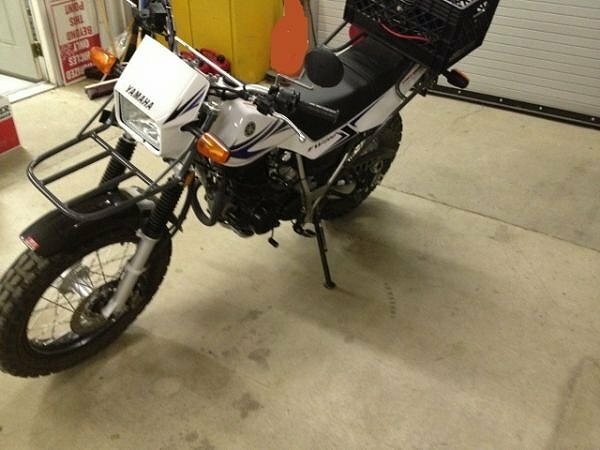 Finally, a TW200 is mine! So after I got my driver's license stamped with the 'M' for motorcycle, it was time to get some cash together and find myself a nice, used TW. After a few weeks, the right bike popped up on Craigslist. Here are the pics from Craigslist. I called the seller and struck a deal for this low-mileage, 2009 with both a front and rear rack. 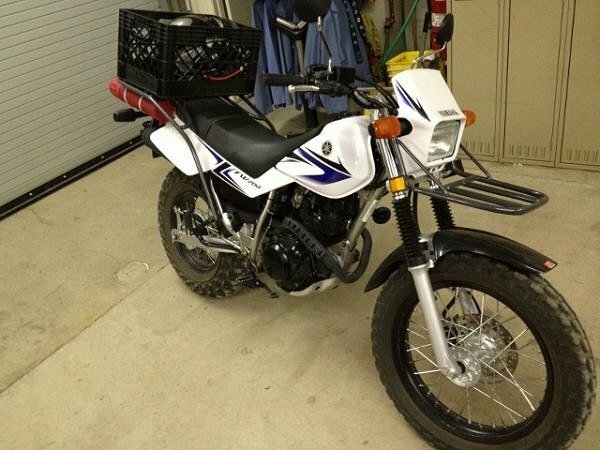 Once I got it home, I changed the oil, removed the racks, and started riding!! More pics soon. Are you selling the rack?